CABWHP's Policy Advisory Group ("PAG") convenes women's health leaders including grassroots leaders, health service providers, government representatives and policy advocates throughout California to strategize about how to most effectively impact Black women's health policy at the local, regional and state level. ​CABWHP hosts small regional convenings throughout the state in order to regularly communicate with PAG members about national, statewide and local policy issues and events. Such convenings enable us to strategically analyze issues affecting the health of Black women over time, analyzing gaps and clarifying needed areas of emphasis for future policy work. 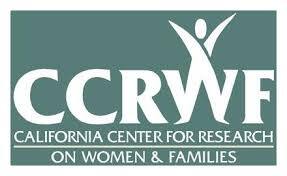 CABWHP assists the The Iris Cantor - UCLA Women's Health Education & Resource Center on the Planning Committee for the annual conference, which promotes research, policy, and community advocacy in Los Angeles County focused on issues related to reproductive health and the environment. CABWHP serves on Community Health Council's (CHC) Food Justice Roundtable Committee and on The California Endowment’s Building Healthy Communities South Los Angeles Group. CHC promotes social justice to achieve equity in community and environmental resources to improve the health of underserved populations. ﻿CABWHP works with Health Access as a Board Member, a statewide health care consumer advocacy coalition, advocating for quality, affordable health care for all Californians. CABWHP is a Coalition Member of REMHDCO, which stands for the Racial & Ethnic Mental Health Disparities Coalition, a statewide coalition of individuals from non-profit state wide and local organizations whose mission is to work to reduce mental health disparities through advocacy for racial and ethnic communities. CABWHP is a Founding Member of The Los Angeles County Coalition for Women and Health Reform that recognizes, prioritizes, and protects women’s & adolescent girls’ health to achieve equity in access to health care and coverage, particularly for low-income, immigrant, and women of color. CABWHP serves on the Planning Committee for the Annual Women’s Policy Summit hosted by CCWF, which provides information, facilitation and policy options to help leaders improve the lives of women, families and children through the state and nation.